El Nino had kicked in and areas of Texas were devasted with flooding. 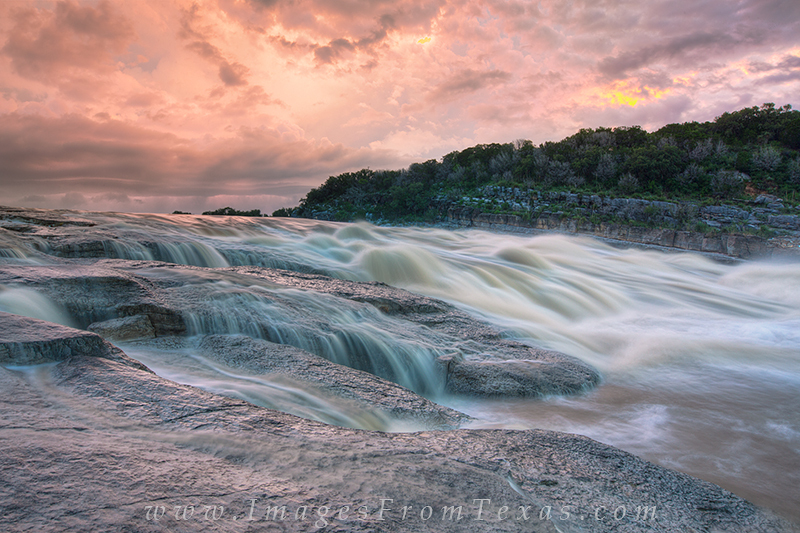 Here at Pedernales Falls State Park, in this image the Pedernales River had actually receded quite a bit from its very high levels reached earlier in th week. I had almost turned around as storm was quickly approaching on this late May morning but after much internal debate, I headed to the river and was glad I did. The atmosphere turned pink pastels as the sun tinted the landscape in a eerie pinkish-blue hue. Photo © copyright by Rob Greebon.